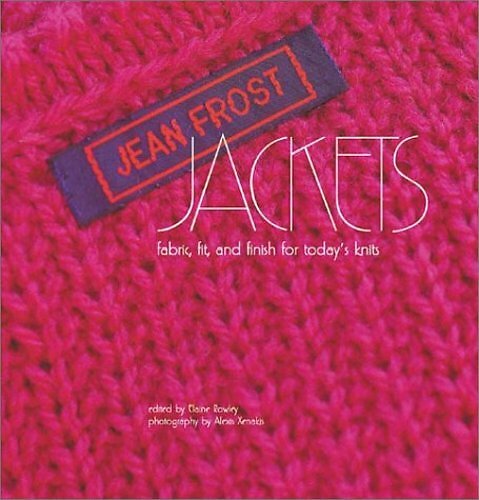 From ‘Jean Frost Jackets’: Linen stitch makes a most interesting fabric with a woven look. 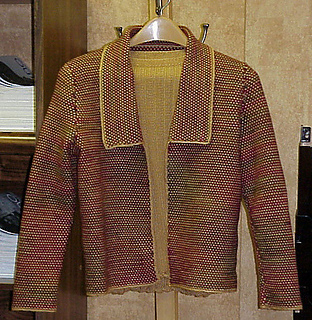 In this jacket I used three soft colors of a lightweight yarn. Linen stitch makes a dense fabric, so the yarn should be lightweight. With the focus on the fabric, the detailing can be kept to a minimum. 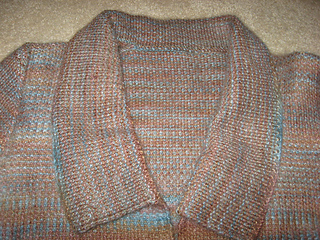 A simple collar frames the V-neck; there are no pockets and no buttons. If you wish to keep the jacket closed, a hidden button with a chain loop could be placed on the inside. This jacket is short, but that is a personal choice; make it longer if you wish. YARN REQUIREMENTS: Fine-weight yarn, Main Colour (MC) – 550 (600, 650) yds / 2 (2, 2) skeins, Colour A (A) – 550 (600, 650) yds / 2 (2, 2) skeins and Colour B (B) – 550 (600, 650) yds / 2 (2, 2) skeins. SHOWN IN: Lion Brand Wool-Ease Sportweight, #152 Oxford Grey (MC), #139 Dark Rose Heather (A) and #098 Natural Heather (B). 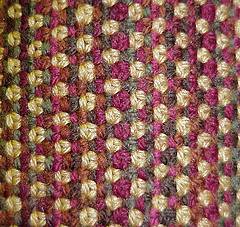 CONSTRUCTION TECHNIQUES: 3-needle bind-off is used to connect shoulders, single-crocheted front edging, slip-stitch crochet used to join seam and insert sleeves.